Venice is a magical floating city, offering a plethora of sites for the curious traveler to discover. 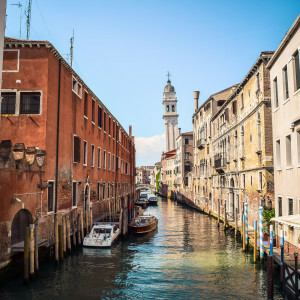 We’ve carefully crafted two itineraries (one with a boat, one without) that allow for an enchanting look at Venetian squares, grand palaces, and Eastern-influenced architecture. 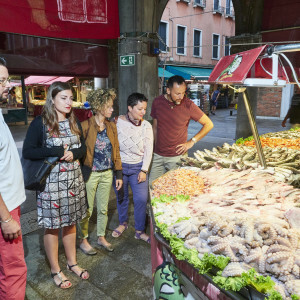 Together with a local expert, we'll spend 7 hours discovering the cultural, historical, and aquatic heart of Venice. 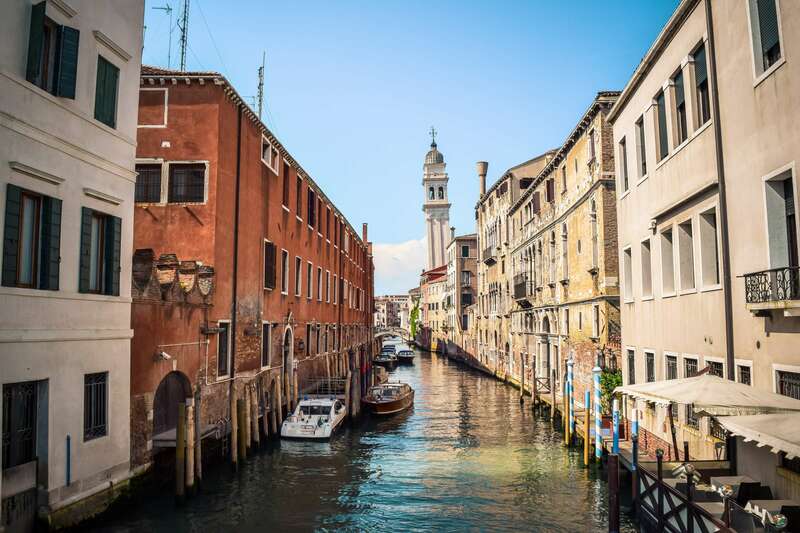 We’ll spend the majority of our day on our feet in this highly walkable city (if we choose itinerary A), or floating down canals (if we choose itinerary B). 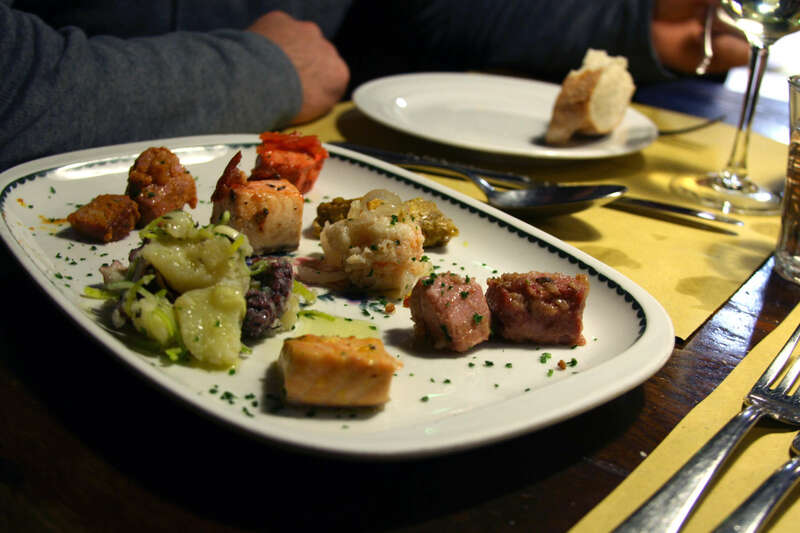 Both itinerary options offer a fantastic day-dive into one of our favorite Italian cities. 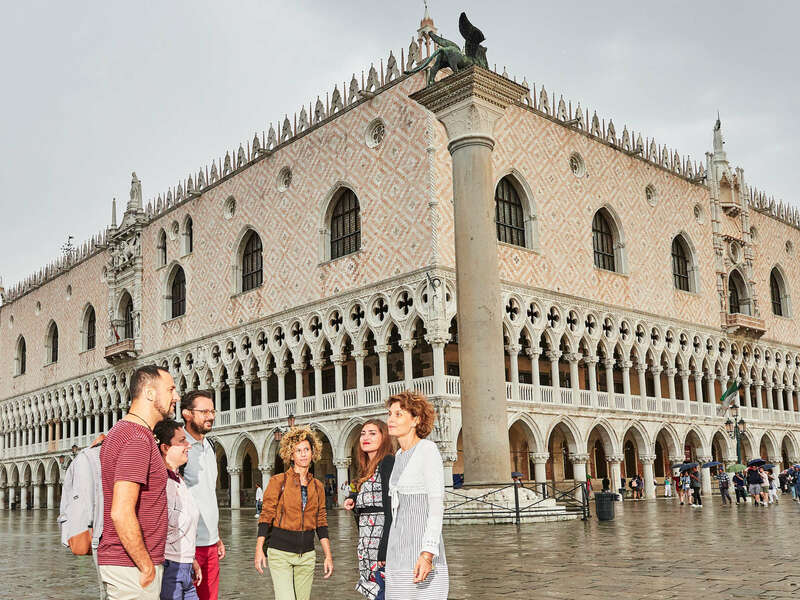 Includes a short Venice briefing, an early St. Mark’s visit (skip-the-line), Doge’s Palace, Rialto Market food tour and a historic city center tour. Local Italian lunch (at own expense). We’ll meet for our ‘Venice in a Day’ tour, starting with a tour of Piazza San Marco, or St. Mark's Square as it’s known in English. We’ll spend some time here discussing Venice's ascension to power and its link with the Eastern empires. We will visit the Basilica of Saint Mark, built in the early 9th century with many motifs, emblems, and influences from the East. 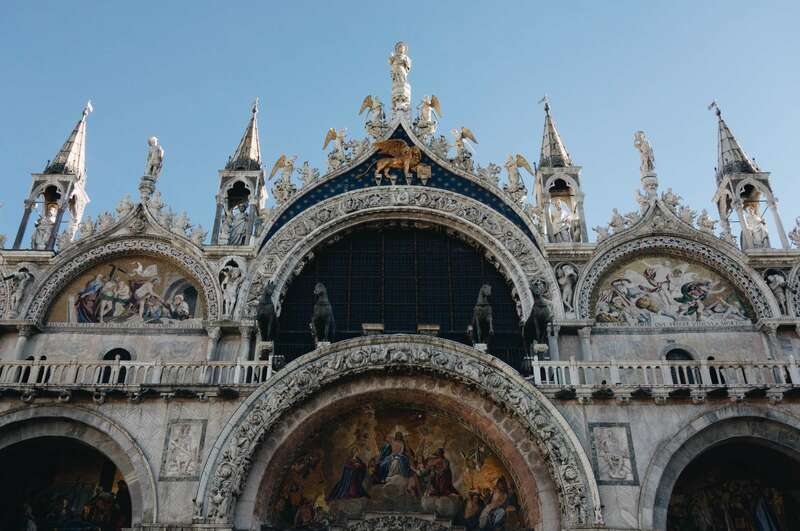 Almost entirely encrusted with splendid gold mosaics and marbles, St Mark’s combines Greek-Byzantine nuances with local artistic expertise, standing as a symbol of power and opulence. From here, we will move inside Doge’s Palace as we learn more about the figure of the Doge and the unique and complicated nature of the Venetian Republic's political structure. 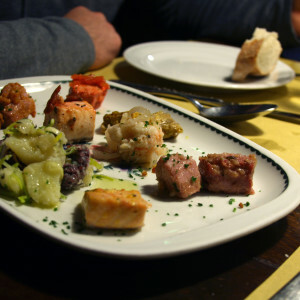 We will continue our tour with a visit to Rialto Market as our expert guide explains various gastronomical curiosities. We may decide to stop for lunch in the market, or at a local restaurant or cafe (lunch at own expense). We’ll continue our afternoon tour (on foot) with a comprehensive introduction to a couple of neighborhoods in Venice. This may involve dipping into churches boasting artwork from Titian or Tintoretto, or soaking up public spaces and quaint bridges. We’ll use the remainder of the afternoon to discuss anything from trading routes to the rise of the Venetian Republic to today’s ties with the East. We’ll leave one another with a deeper understanding of this charming city through a solid full-day introduction. Please write 'Option A’ in your client notes at checkout. 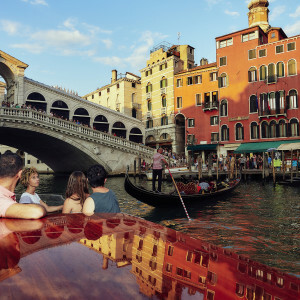 You do NOT need to tick the ‘Venice in a Day, 2 hour Private Boat' box. 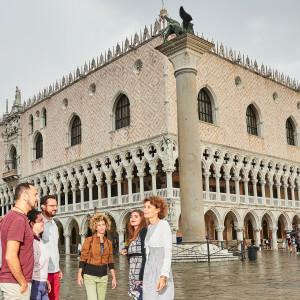 Includes a short Venice briefing, an early St. Mark’s visit (skip-the-line), Doge’s Palace, Rialto Market food tour and a 2-hour private canal boat tour. Local Italian lunch (at own expense). 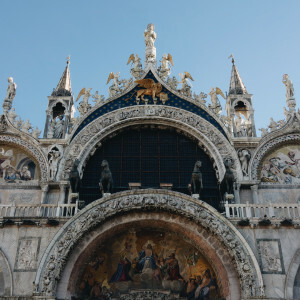 Similar to itinerary A, we will begin with a walk through St. Mark’s Square as our expert guide introduces various themes that we will hear throughout our full-day tour. We’ll discuss Venice’s rise to power, its connection with the East, and the power of the Doges. In the company of our local expert, we will spend some time inside the bejeweled basilica of Saint Mark discussing the symbolism of this Greek-Byzantine-influenced church. We’ll then move to another spectacular architectural feat: Doge’s Palace. Who was the Doge? What power did they have? How long could they rule? We will begin to answer questions such as these as we tour this impressive building and discuss the complex histories that happened behind its walls. 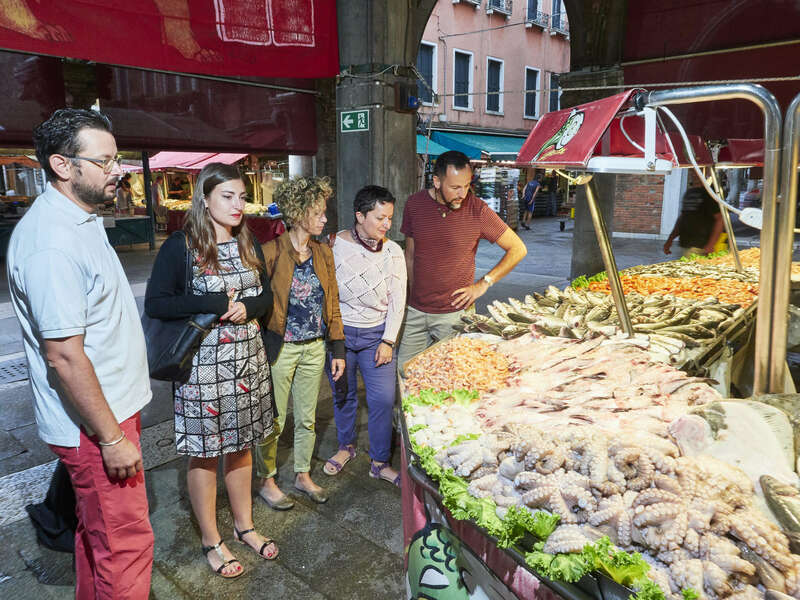 Fuelled on a morning of history, we’ll head to Rialto Market to taste some local delicacies and learn more about Venetian gastronomy. We may have lunch here or at a nearby restaurant/cafe, depending on our taste buds (lunch at own expense). After lunch, we will move to the best vantage point in Venice: the water. Inseparable from the city itself, the winding waterways help weave a narrative of Venice which is difficult to appreciate on land. From our private boat, we’ll spend two hours discussing the architecture and design of Venice and the impact these canals have had on the city’s evolution. 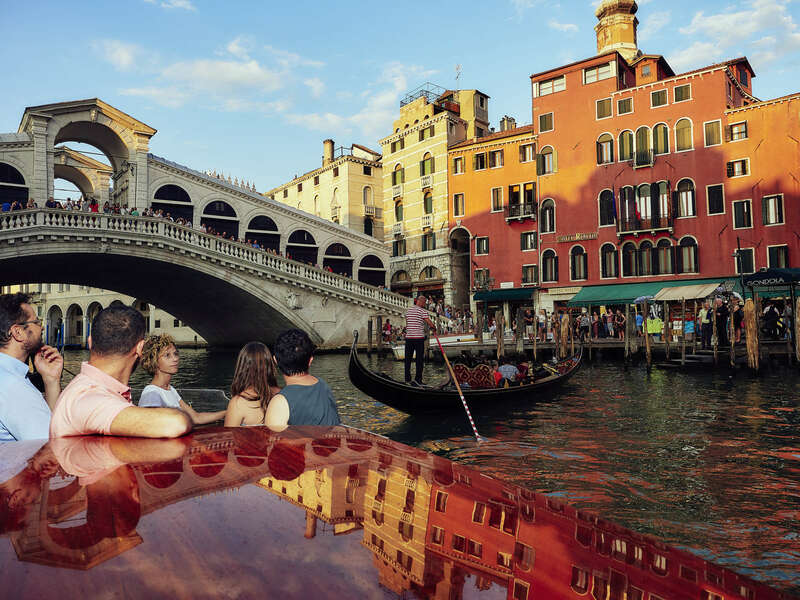 Cruising down smaller canals and Venice’s main artery (the iconic Grand Canal), we will gain an eye-opening perspective of this magical city. As we wrap up our time together, we’ll return to shore and get our bearings once more. We’ll emerge with an understanding and perspective of the city from both land and water. Please write 'Option B’ in your client notes at checkout and tick the ‘Venice in a Day, 2 hour Private Boat' box. 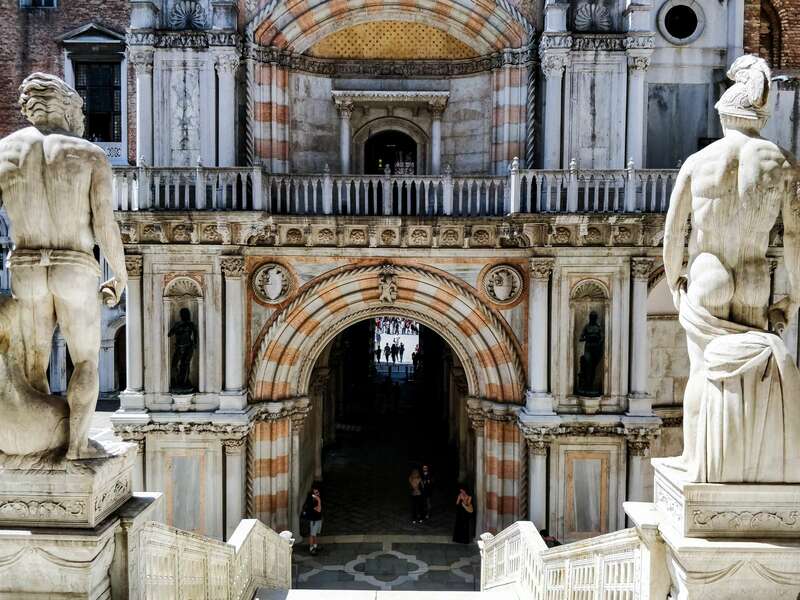 At the end of either itinerary, we will emerge with a deeper knowledge of how Venice grew from an amalgamation of fishing villages to a powerful republic. 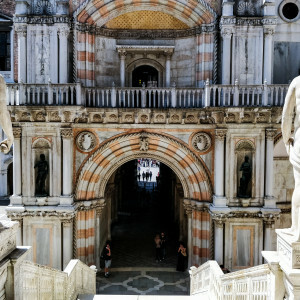 We’ll have walked (and perhaps boated) across the city to sites and buildings relevant to the historic, cultural, artistic, political, and aquatic identity of the Venetians. Hopefully, our ‘Venice in a Day’ tour will set us up for the remainder of our travels in Italy and beyond. 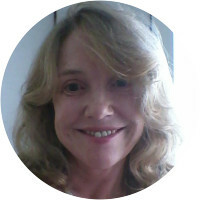 Susan has over ten years of experience teaching the History of Art for prestigious university programs in the UK and Italy. After graduating in the History of Art and Italian in 1998, she took an M.A. 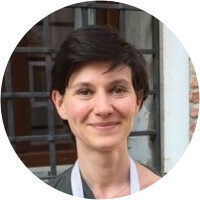 concentrating on art and architecture in Venice, and in 2004 she completed her specialization with a Ph.D. on Venetian Renaissance altarpieces. As a post-doctoral researcher with the University of Glasgow and London's National Gallery, she worked as a researcher and editor on the National Inventory of European Painting, the on-line catalog of European paintings in British museums. 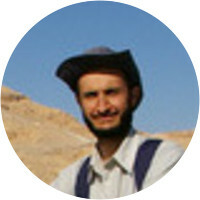 Susan has also contributed articles to the Burlington Magazine and Artibus et Historiae. Susan met her Venetian husband Paolo in 1997; they have a young son and divide their time between homes in Italy and the UK.